Freedom Fone is free, simple to install and easy to use. 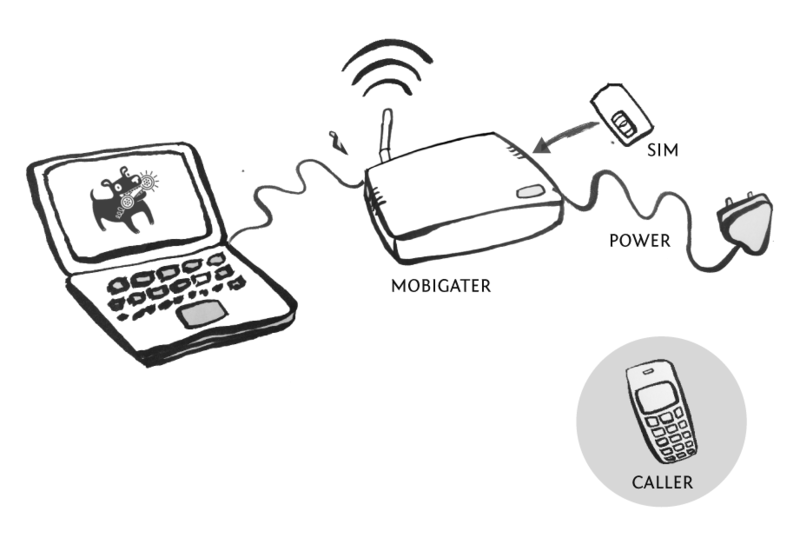 The basic setup is portable (you do need a power supply though) and requires very little to get up and running. 1. Freedom Fone does not run on Mac hardware and we recommend installing on non-Macintosh computers. 2. Backup inverters must be of the pure sine wave type. 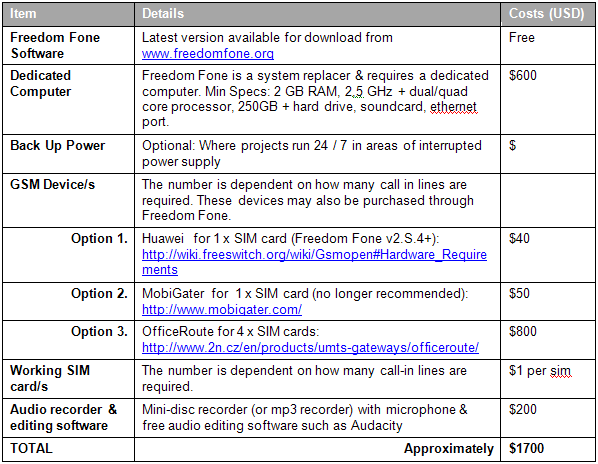 For procedures to install the Freedom Fone software, hardware requirements, connecting your hardware and testing your SIM cards - see the section Technical stuff. From time to time you may encounter technical challenges and it is therefore a good idea to have someone technical help purchase, install and set up your Freedom Fone service. The software is periodically updated as new features are released or bugs fixed. For these reasons, it is recommended to have access to a technical person when deploying Freedom Fone (for more information on staffing issues see the Organize your staff chapter).